Take a walk through the peaceful woods to discover a woodland forest boy/girl birthday party brimming with idyllic charm. Andelle, of Andelle Schenach Photography, designed a lovely and unique birthday celebration theme idea for her little ones, Tristan and Tayla. Natural wood and greenery, with ivory hues and muted kraft brown, plus just a splash of gold. make up a poignant palette at this enchanting event. Delicious party snacks are displayed unpretentiously, while sublime decorations and party supplies, like delightful paper masks by a world-renowned author-illustrator, make this party truly one-of-a-kind! 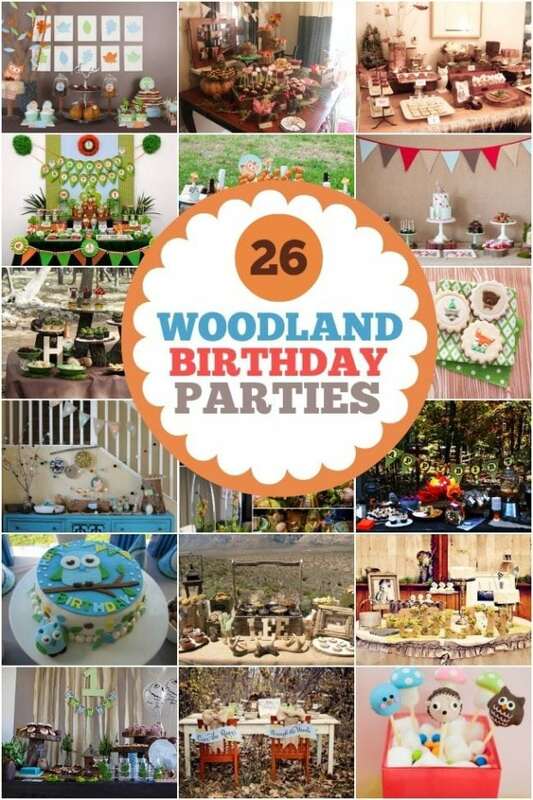 Party planning starts here, with Woodland-themed Birthday Party Supplies. Find ample inspiration in these 26 Woodland-themed Boy Party Ideas. Get cozy and spend some time pouring over Andelle’s captivating photos to see how this event came together. For Tristan’s and Tayla’s combined birthday celebration, Andelle chose a party setting nestled near the edge of a lush green forest at Galagos Country Estate, a popular South African wedding venue. A sweet and savory snack table offers a scrumptious variety of refreshments. Dried fruit, double chocolate cookies, red toffee apples, peanut caramel cookies, pretzels, and raisins all go perfectly with chilled mini bottles of chocolate milk. Wooden spoons are tied with ribbon on chocolate mousse jars, for serving with ease. Slim, wooden rectangular trays blend easily with the décor. Andelle shared her “secret recipe” for unequalled Rice Krispies Treats: Melt 2 tablespoons of butter over low heat in a saucepan, then add 30 marshmallows, and stir until completely melted. Remove from heat and add 4 cups Rice Krispies cereal and 1 can condensed milk: that’s the secret! Stir until well coated. Press into a pan using wax paper. Allow to cool, then cut into squares before dipping ends into your favorite melting chocolate. Andelle decorated naturally using real greenery and pretty pinecones, plus diminutive forest animal figurines. I can’t help but be captivated by the precious cake, by Lize van der Walt, featuring an adorable little mouse peeking from the bottom edge and a charming fox grinning on top. A rustic guest table, crafted by local artisan Tjaart van Wyk, needs little adornment. Simple wood stumps and crosscut placemats, provided by conservation manager Trent Sinclair, are the perfect complements. Paper masks, designed by beloved children’s author-illustrator (and world traveler) Jan Brett, transformed party guests into lively woodland creatures. After enjoying their tasty treats, little friends of the forest were free to frolic! Tristan and Tayla thanked their guests with kraft bags full of whole pecans, customized with pretty labels. This irresistible woodland forest birthday party has a universal charm for boys, girls, and parents. Something about the scenes portrayed in Andelle’s exquisite photos makes me hold my breath, as if I might somehow interrupt the appealing tranquility emanating directly from the photos! I can almost hear the sweet giggles echoing softly through the underbrush, as frisky foxes play tag with happy hedgehogs and bouncing bunnies. 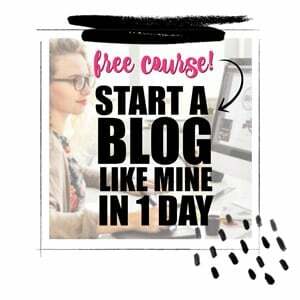 Peruse galleries of Andelle’s captivating photography on her website. You can find even more of her photography and lovely party designs by checking out this gorgeous beach party.